Home/Post / Grammarly: Just another Spellchecker, or your path to better content? 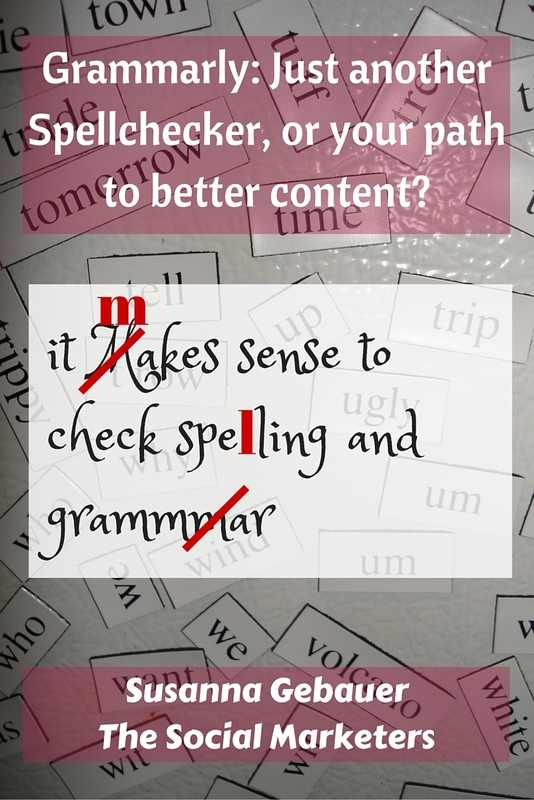 Grammarly: Just another Spellchecker, or your path to better content? Content and social media marketers write a lot of content. For us, The Social Ms, the process usually goes: One of us writes a piece of content and the other reads, corrects, comments and adds his/her thoughts. I think this process adds to the original piece of content. But I know that sometimes it would be much more efficient if the author of the original piece of content could do all the editing, spell-checking and grammatical corrections on his own. And believe me: Even if you are perfectly able to produce a document or text without errors, it still makes sense to check spelling and grammar. 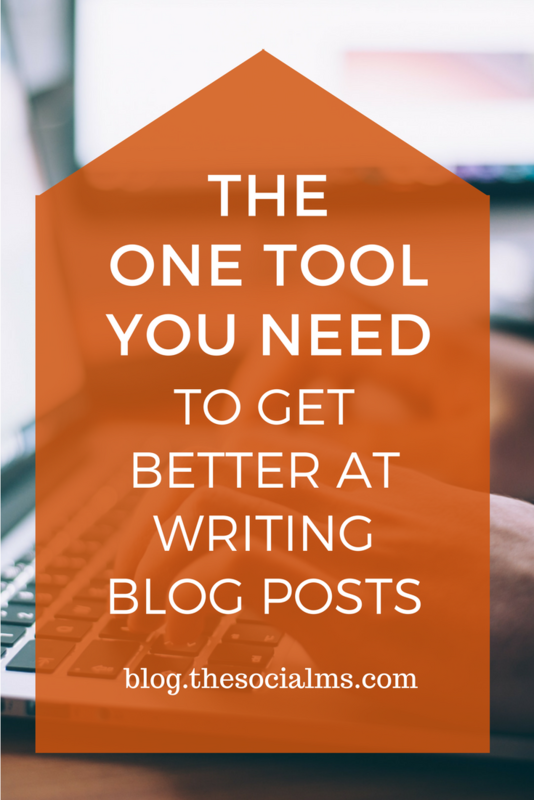 That is why many bloggers and businesses who can afford it use a professional editor. But for many, this simply is by far out of the budget. When we heard about Grammarly, we decided to give it a try. Here is the story of my first experience with the tool. What is Grammarly and who can use it? Everyone can use it online, by simply registering and starting a free trial. If you like it, you can have it for a fee ranging from 29,95$ per month to 139,95$ per year. I registered for a free trial and could instantly start to work on my document. I used my first draft of this article – purposely not doing any proofreading before entering the text into Grammarly. I chose to ignore this comment, as my sentence seems more than common and will probably be used all over the net. I also learned a lot of grammar – I did not know about “dangling modifiers” before, but the suggestions really make my sentence more readable. I know how quickly you can oversee errors in a written text. It is not so much about not knowing the right spelling or the right grammar. The spelling is easily overlooked when focusing on writing an interesting piece of content, and the grammar simply slips as we speak laxer than we should write. I will not follow this suggestion as a “free” trial is not the same as an “open” trial. But I do see the point. Again I do not see such a huge difference, as both fit, I follow the advice. I really like the “proper” in this case and go along. (Grammarly suggested I remove the “really” as it is redundant). All in all, I think Grammarly is a huge help in generating better content. It provides an easy-to-use process to check pieces of written content for spelling and grammar mistakes. I especially like the hints for too complex sentences, as I tend to try to fit everything into one sentence, making things very hard to read. Grammarly is a friendly reminder to split up some of my sentences. I also like the suggestions for synonymous words. I guess everyone writing content has been in the situation when the same word keeps coming to mind making content boring. Grammarly’s “Vocabulary Enhancement” is a huge help with this. I recommend installing the Chrome extension for Grammarly. Since I am typing a lot of content in my browser, including most of my blog posts, the browser extension is a huge help. It marks down every typo and every bit of text that seems to be wrong. Thus you can easily see the most important mistakes in your text. The browser extension makes using Grammarly extremely efficient. And I admit I always find some errors this way! When I first wrote this article, I was using a free trial. Since then we have been using a paid account. If you want to give it a try, you can start with the free account. For spell checking the free account will already be a huge help. I recommend giving Grammarly a try! If you want to know more about Grammarly: Jonathan has written a post about how he uses Grammarly to become a better blogger. If you found this article helpful, please pin it!